Offering all the benefits of the Intex Raised Downy airbed but with the added advantage of lighter weight, a built-in pillow, and mid-rise height, the Intex Pillow Rest queen inflatable airbed is ideal for travelers who want the comforts of a bed but the convenience of a blow-up mattress. 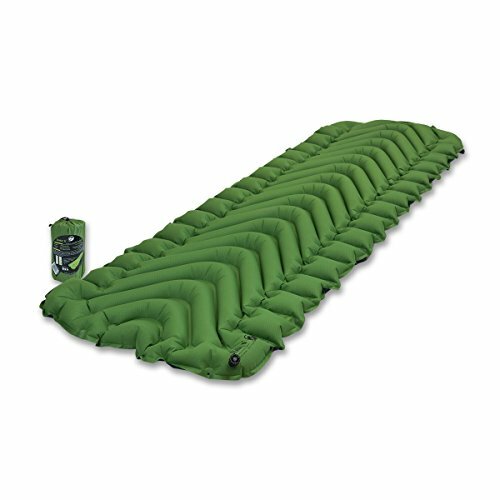 The Pillow Rest is equipped with a quality-tested, 20.8-gauge waterproof flocked top, along with 15-gauge vinyl beams and 16-gauge sides and bottom. 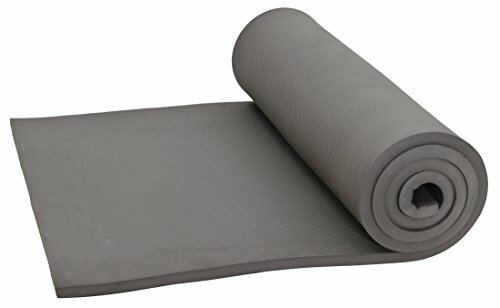 The resulting surface is comfortable and secure, whether you’re sleeping at the in-laws’ overcrowded house or setting up a guest bed in the basement. 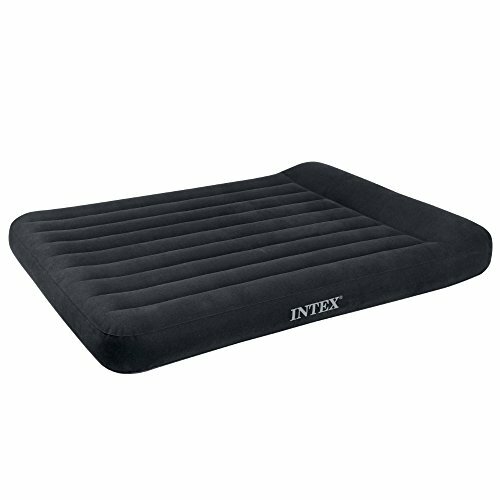 In addition, the Pillow Rest is remarkably easy to inflate thanks to the built-in, high-powered electric pump, which does its job in a mere three minutes. 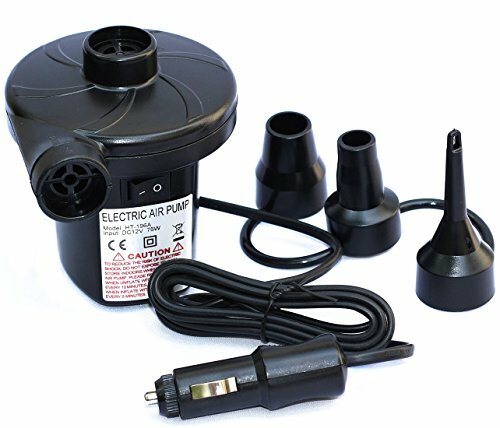 No more fussing with tiring hand or foot pumps or rummaging through the garage for your detached electric pump. 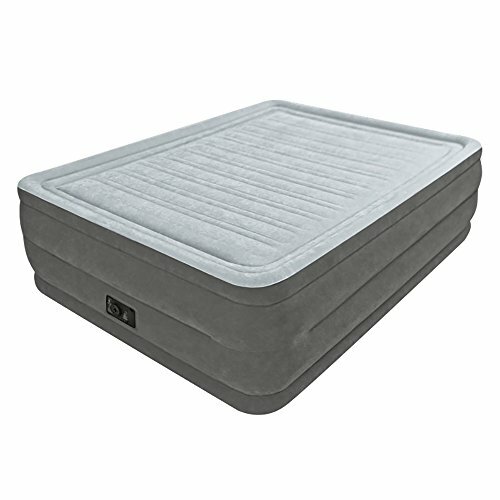 And should the mattress feel a little too soft or firm, you can customize the comfort level with the touch of a button. 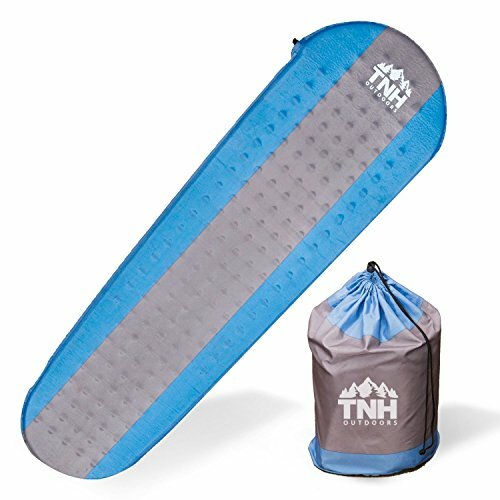 The Pillow Rest is raised 16.5 inches from the floor, making it far taller than most inflatable mattresses, and includes built-in pillows for added comfort. 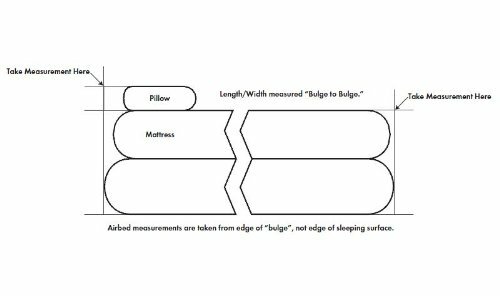 And at 60 by 16.5 by 80 inches (W x H x L), the mattress is an official queen size, making it a good fit for fitted sheets. 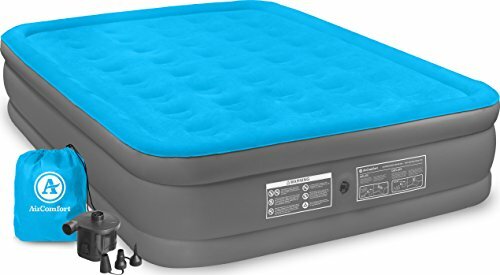 The Pillow Rest queen bed–which offers a capacity of 600 pounds–comes with an AC power cord, a shoulder strap, and a carry bag. 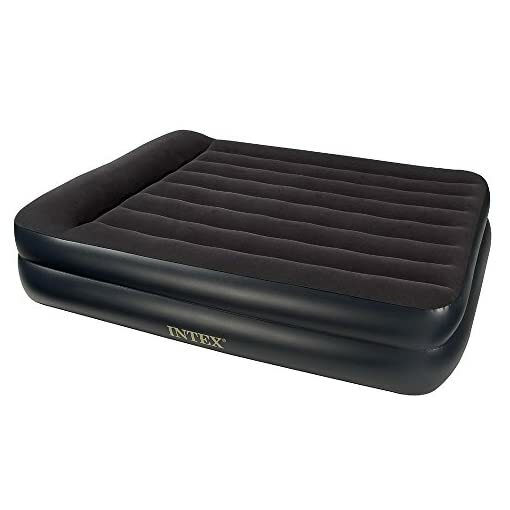 Offering all the benefits of the Intex Raised Downy airbed but with the added advantage of lighter weight and mid-rise height, the Intex Pillow Rest queen inflatable airbed is ideal for travelers who want the comforts of a bed but the convenience of a blow-up mattress. 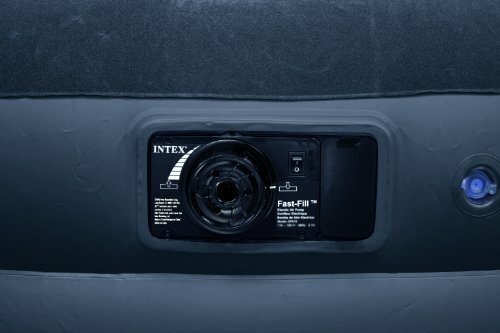 The Pillow Rest is equipped with a quality-tested, 20.8-gauge waterproof flocked top, along with 15-gauge vinyl beams and 16-gauge sides and bottom. 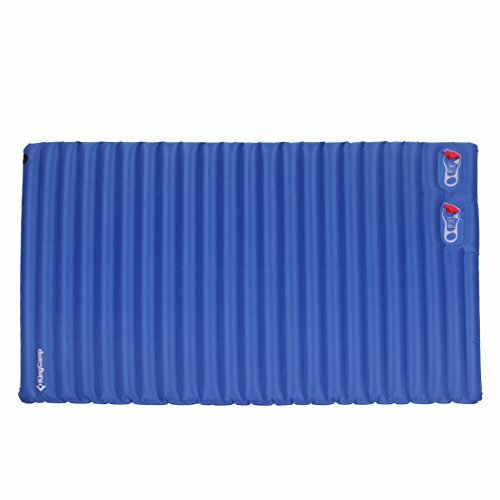 The resulting surface is comfortable and secure, whether you’re sleeping at the in-laws’ overcrowded house or setting up a guest bed in the basement. 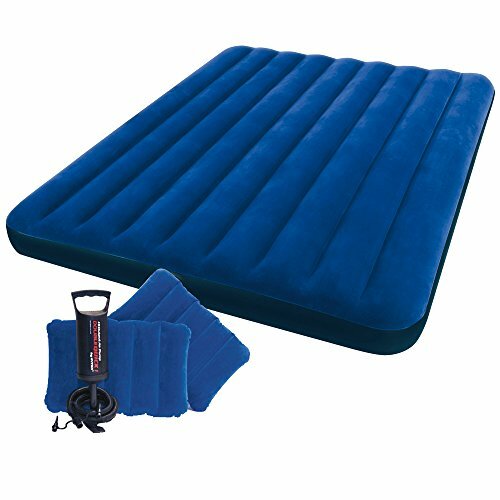 In addition, the Pillow Rest is remarkably easy to inflate thanks to the built-in, high-powered electric pump, which does its job in a mere three minutes. 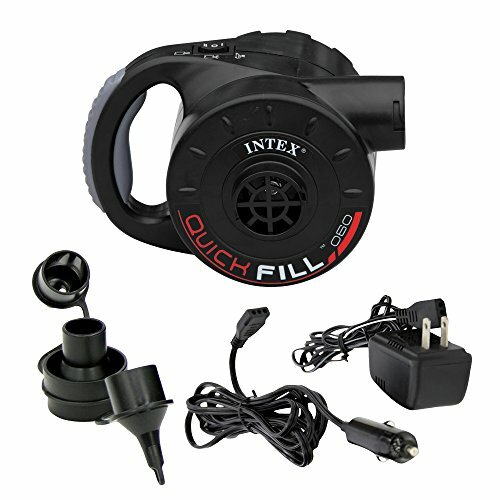 No more fussing with tiring hand or foot pumps or rummaging through the garage for your detached electric pump. And should the mattress feel a little too soft or firm, you can customize the comfort level with the touch of a button. 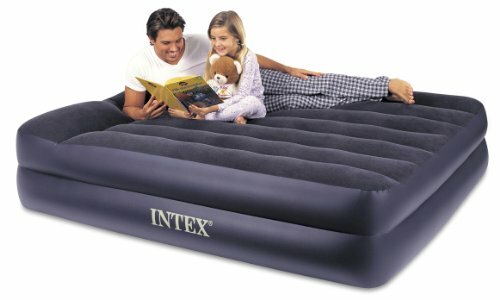 The Pillow Rest is raised 16.5 inches from the floor, making it far taller than most inflatable mattresses, and includes built-in pillows for added comfort. And at 60 by 16.5 by 80 inches (W x H x D), the mattress is an official queen size, making it a good fit for fitted sheets. 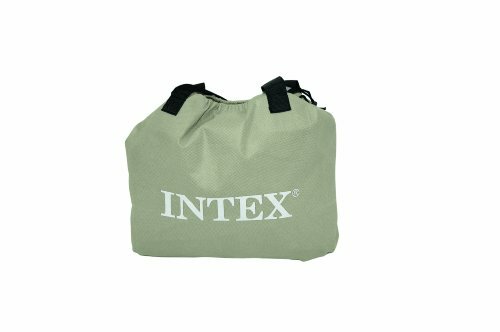 The Pillow Rest queen bed–which offers a capacity of 600 pounds–comes with an AC power cord, a shoulder strap, and a duffel bag.